Only slightly less genial was the exchange that followed between incumbent Republican Bill Cowsert and Democrat Marisue Hilliard in the 46th Senate District contest. All of Oconee County is in the 46th, which also includes parts of Walton and Clarke counties. 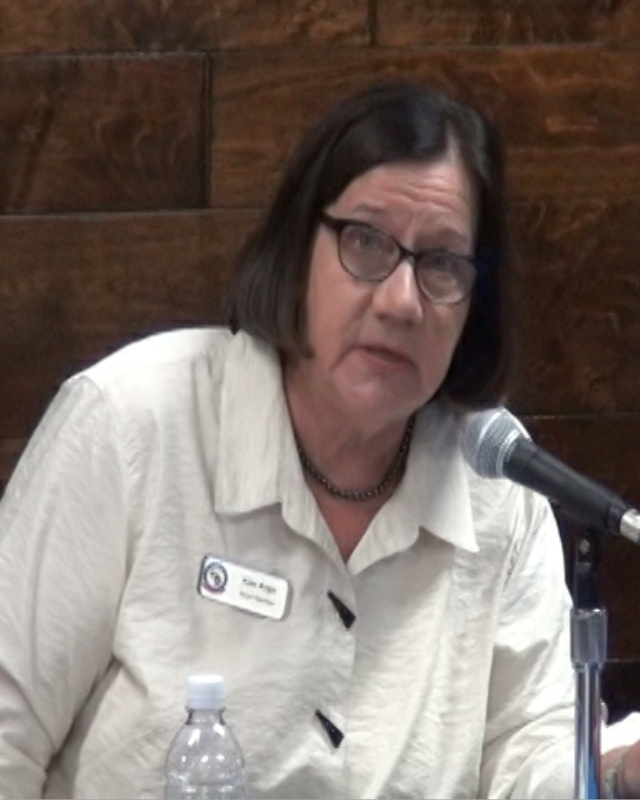 Considerably less cordial in their comments at the forum organized by The Oconee Enterprise were Democrat Deborah Gonzalez and Republican challenger Houston Gaines in the 117th House District contest, which includes parts of Oconee County. Gaines was on the attack from his introduction to the end of the forum hosted by the University of North Georgia and stood out among the four legislative candidates by not voicing opposition to a campus carry law passed by the General Assembly last year. Gaines refused to take a stand for or against repeal of campus carry. Jonathan Wallace, incumbent Democratic representative from the 119th House District, and Republican challenger Marcus Wiedower did not attend the forum. Those parts of Oconee County not in the 117th are in the 119th House District. Michael Prochaska, editor of the Enterprise and forum moderator, gave each of the school board candidates a chance to introduce herself at the beginning of the two-hour forum, and the issue of Board access came up quickly. Wellnitz, a social worker, was the fourth to introduce herself, and she told the audience that the reason she is seeking Post 2 on the Board of Education now held by Parrish is because of a concern about access to the Board. “I’ve heard from so many people in this community because the don’t feel like their voice is really being heard,” she said. “I’ve heard stories of people telling me that they have a question and they’re having a hard time getting an answer to the question. “I’ve heard people saying they have a concern and they’re not getting an answer,” Wellnitz said. Following the introductions, Prochaska took questions from the audience of more than 100 people gathered at the University of North Georgia campus between Butler’s Crossing and Watkisville. Four people stepped forward to ask about the role the Board plays in student performance, about school taxes and the transparency of information, about challenges for the Board, and about testing in the schools. “We are a liaison between our constituents and the school system,” Parrish, a financial adviser who was chosen by the Board to fill an empty seat two years ago, said in response to the question about the role of the Board. “I think it is part of our responsibility to relay some of those issues,” Parrish said. Thompson is a school social worker in the Clarke County School District. She and Argo are seeking Post 2 on the Board. “I think there is a big misconception about the transparency,” Parrish said. 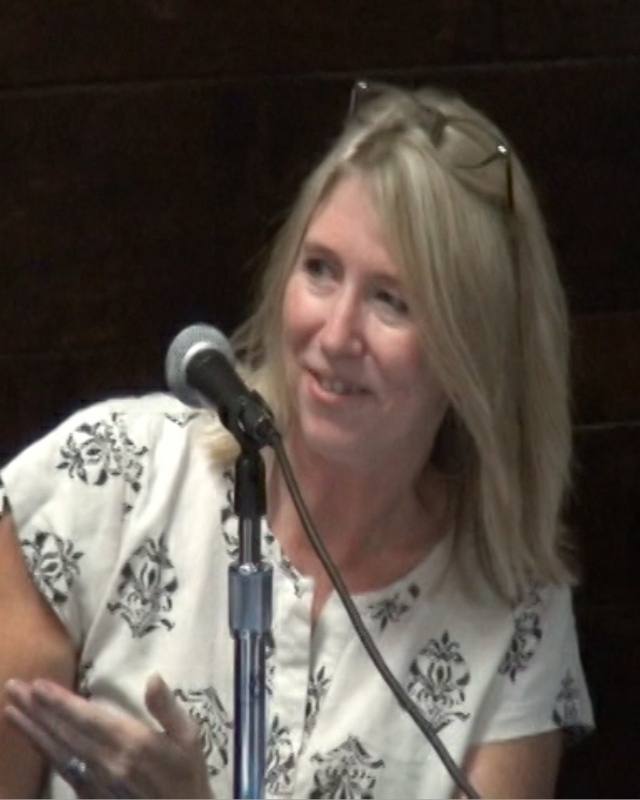 “I think my biggest concern is that there is a misconception about what the Board’s role is and how we communicate with our community members,” Parrish said in response to the question on Board strengths and weaknesses. Argo, vice chair of the Board and a retired educator, said the Board takes very seriously the state law that limits what they can do in sessions closed to the public. She also outlined how the Board allows time for citizens to speak at its meetings. Prochaska did not require those asking questions to identify themselves, and only some of them did. She said the schools should focus on the whole child, not just the test scores, and should provide a more supportive environment for the students taking the tests. 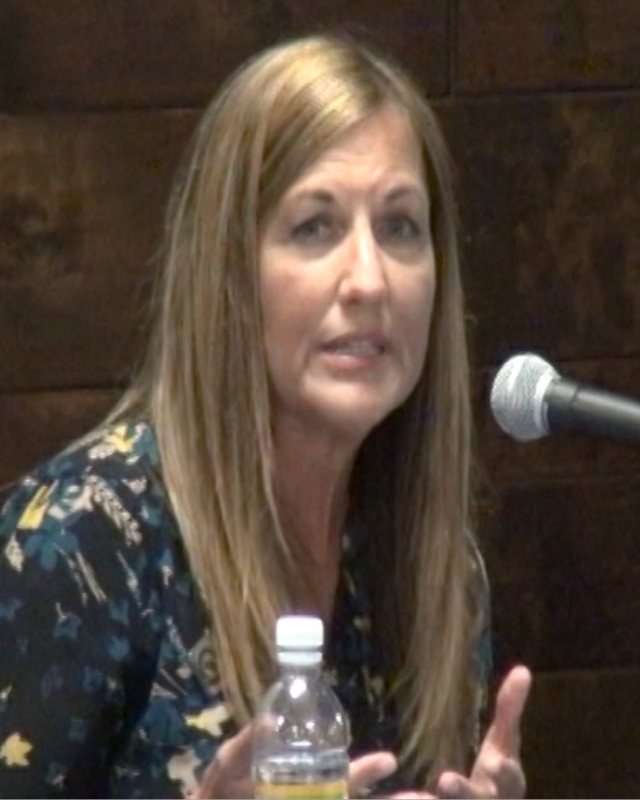 Argo said “I do agree our students are tested too much, but, unfortunately, most of our tests are state-mandated.” She said Superintendent Jason Branch had sought the help of Sen. Cowsert to reduce some of this testing, and this had brought about some needed change. “Oconee County can be number one for more than test scores,” Thompson said. “Nobody that I know in leadership on the Board or in leadership at the central office wants to be number one just for the sake of being number one,” Parrish said. “That’s not why we do what we do. I mean, we’re happy to be number one because it means our kids are excelling and we want to celebrate that. Cowsert was the first to introduce himself in the second half of the candidate forum, and he said “There are a lot of parts of politics I don’t like that are very distasteful, but the service itself is a rewarding experience to me. “And I appreciate you letting me be your voice and represent you in Atlanta and the state Senate,” Cowsert, an Athens attorney, said. Hilliard said she served in various capacities in the U.S. Forest Service for 32 years and during that time she worked with all levels of government from mayors and commissioners to state representatives and to Senators and U.S. Congressmen. “I know how good government should work based on the experience I had in government,” Hilliard said. Gonzalez, an Athens attorney, said she came from a working poor background, that she herself had been working since she was 14 years, and that she was a single mother for 16 years. She said she went to law school at night and balanced the needs of work and her family. Gonzalez said she was “so proud” of the past legislative session, her first, “because I was able to work on things that affect the every day people.” She included funding for state schools, adoption law reform, and domestic violence legislation as examples of accomplishments. Gaines, in his introduction, said he lives and works in Athens and “is proud to be a third generation Athenian.” He said he is running for the state House seat “because I think we deserve better.” Gaines is a consultant to a fundraising organization. About 20 people left the forum after the four school board candidates spoke, but those who remained were anxious to ask questions. In the end, only seven were able to do so given the time constraints. Hilliard said she was disappointed that, in the last session, the legislature did not pass a bill on human predators. Cowsert said he was proud the legislature fully funded K-12 education. Gaines said Gonzalez accomplished nothing in the last session because she didn’t have her name on a bill that was passed. 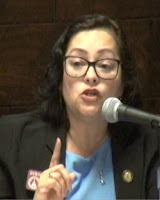 Gonzalez said Gaines didn’t understand how the legislature worked and she was proud of being able to killing bad legislation with unforseen consequences because of her legal training. 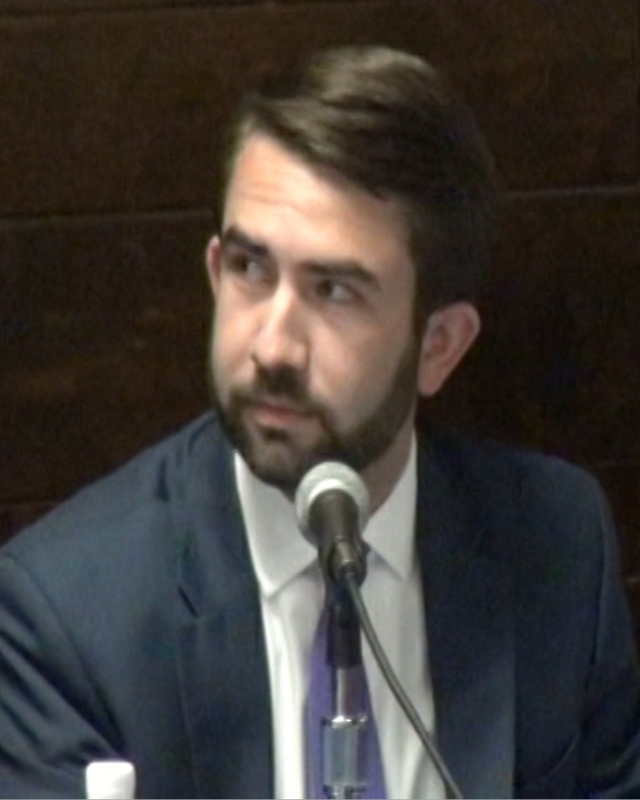 Gonzalez said local police should not hold nonviolent persons for U.S. Immigration and Customs Enforcement because it is expensive and counterproductive. One questioner wanted to know why people should trust the candidate. “One of the things you can look at is what are our motives. Why are we running?” Gonzalez said. Cowsert said he does not support a single-payer medical program for the state. Hilliard called on the state to expand Medicaid coverage and to consider options for a single-payer medical program. Gonzalez also said the state should expand Medicaid because it is losing federal funds by not doing so and try to find ways to drive down health costs generally. “I oppose a single-payer state health care plan,” Gaines said. He said it is too expensive. One questioner asked how the state could provide needed funds for education and medical services if it cuts taxes. “Government has to provide a certain amount of resources and services to its people,” Gonzales said. But “government should be as big as the people need it to be,” not more or less, she said. 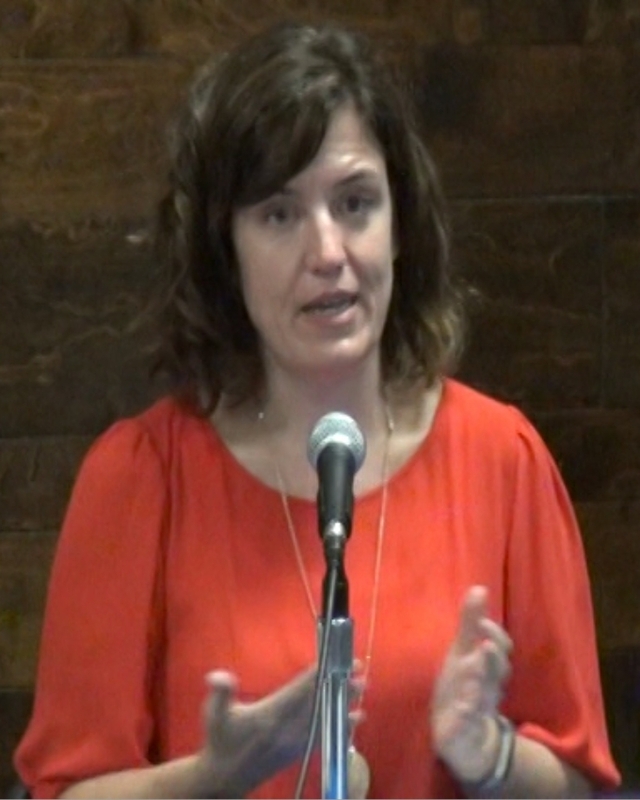 Gaines called for additional tax cuts and for further cuts in the state budget. “Certainly education and health are certainly central functions of state government,” he said, and those should not be cut. Gonzalez and Hilliard said they supported a minimum wage of $15 in the state. Gaines and Cowsert said they are opposed to a $15 minimum wage. The final questioner asked the candidates for their position on repeal of campus carry bill, passed by the legislature in 2016 and 2017. Gov. Deal did not sign the 2016 bill, but he did sign the one in 2017. The premise of the question was that, if Democrat Stacey Abrams is elected governor, she would be receptive to repeal. The person asked Cowsert specifically, who voted for the 2016 bill and against the one in 2017, for an explanation. “I think that (second) vote reflected the will of this community,” he said. 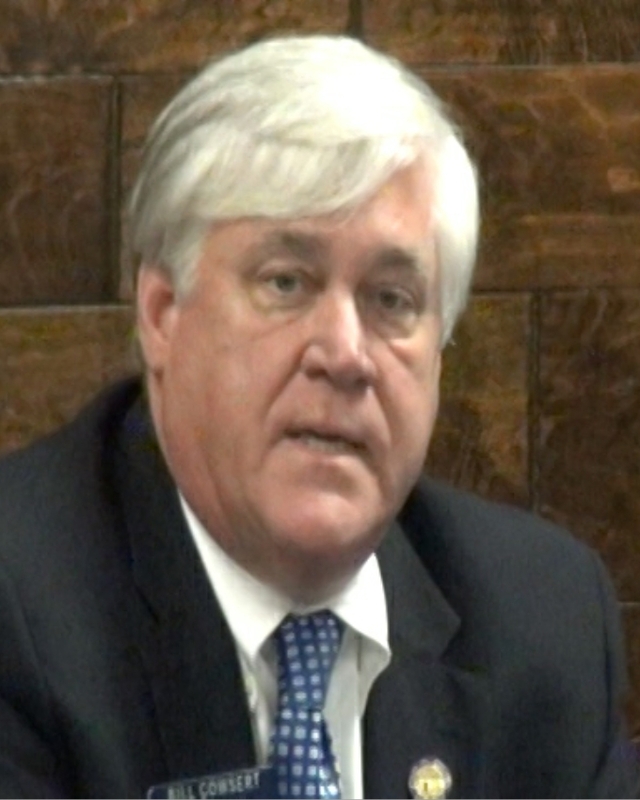 Cowsert said he would vote “consistently with my last vote” if the issue came up again. “There’s no reasons that we need to have guns on our campuses,” she said. Gonzalez said she would support repeal. Gaines said “Obviously, you don’t want to wait for a tragedy.” But he said concerns expressed about the impact of earlier expansion of gun rights had shown that “What the opponents said was going to happen has not happened. Several people in the audience yelled out that Gaines had not answered the question and asked if he would vote to repeal the law. “It’s not going to come up,” he said. As the forum got underway, Prochaska announced that neither Wallace nor Wiedower would be speaking but did not explain. Wiedower told me in an email message Friday that “had a family event that had been planned for over a year” and could not reschedule it. He said he had told Prochaska of that conflict when the date for the forum was announced. Wallace told me in an email exchange Friday that he learned on Thursday morning that Prochaska planned to write a separate article based on Wiedower’s responses to the questions posed at the forum . Wallace said he decided to withdraw from participation in the forum at that point so that coverage would be equal. Prochaska announced on Thursday that the two candidates would be part of a Chamber of Commerce forum from 6 to 8 p.m. on Oct. 11 in Third Floor Auditorium of the Medical Services Building, Piedmont Athens Regional, 242 King Avenue, Athens. 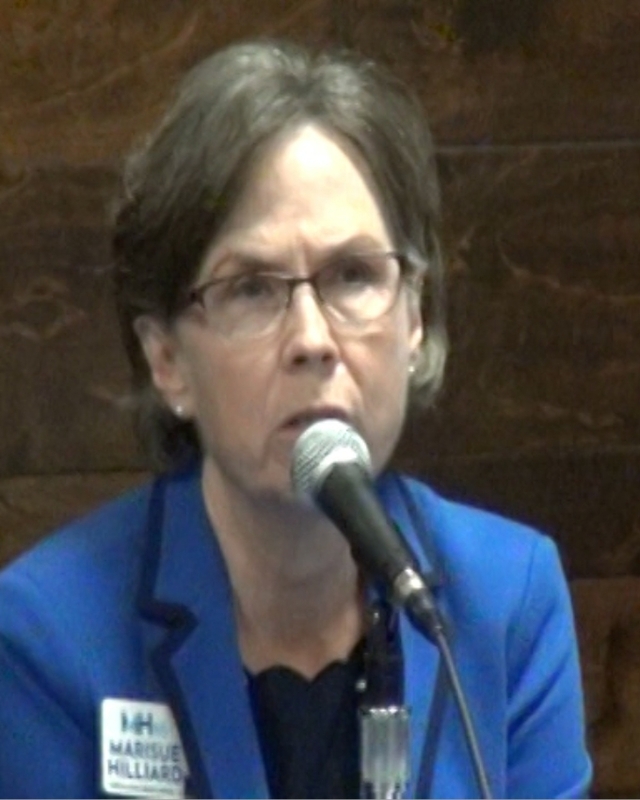 The video below is of the entire candidate forum. I have removed the short gap between the Board of Education portion of the forum and the legislative candidate portion. The four Board of Education candidates began their introduction at 7:10. The first of the four persons who asked questions came to the microphone at 17:58. The four Board of Education candidates began their closing statements at 49:30. The four legislative candidates began their introductions at 58:28. The first question was asked of the legislative candidates at 1:11:26 in the video. The questions were asked in the order I’ve written about them above. Closing comments are at 1:56:21. OCO: Candidate Forum 10 4 18 from Lee Becker on Vimeo. Amy Parrish and Kim Argo, MAP testing is not state mandated yet OCS chooses to burden students with it not once but 3 times a year in 3 subjects. That is 9 unnecessary standardized tests in Kindergarten through at least Middle School. How much educational time is lost to this nonsense? Administrators in this county are not transparent so that makes the Board non transparent by default. By not doing anything about it you condone it, and parents are FED up. I meant to say 15 hours of training not years. I'm not sure why my mouth didn't listen to my brain. Yikes. I meant to say 15 hours of training instead of 15 years. Can you explain your reason for identifying the party affiliation of the BOE candidates when that election is in fact non partisan? Also, in fairness, my question when you watch the video, was specifically about deemphasizing the standardized tests in the schools. Neither Argo nor Parrish answered my question, prefering instead to say the tests are state mandated and they think there are too many of them. In doing so, they did not answer my question about the school board deemphasizing them. Thanks, Lee, for reporting on these very important forums. The candidates' responses are helpful to voters as they evaluate their options; the failure to respond to valid and simple questions is equally enlightening. The BOE race is partisan. Your are, of course, correct in saying that your question was more specific than I reported. Board of Education races are Republican v Democrat. The Watkinsville City Council is not partisan. for the BOE candidates to go head-to-head. Many thanks to Dr. Becker for explaining why Mr. Wallace withdrew. sponsored by The Oconee County Cycling Organization.